Peanut or ground nut is sixth most popular herb on the earth. It has 50 percent oil content and 30 percent protein content. It is taken as rich source of minerals, dietary fiber, and vitamins. All essential nutrients necessary to maintain body health are available inside peanuts so it should be consumed on regular basis. Peanut can be used as butter with bread or it can be mixed with maize to use along with drink. Gujarat shares major area for growing peanuts when compared to whole country. 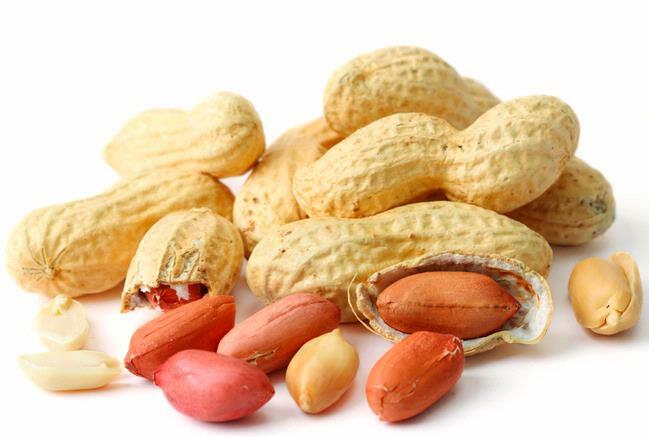 Peanuts or groundnuts contain minimum 13 different types of vitamins. It also helps in regulating brain functions plus maintaining strong bones too. Peanut butters are very popular among the country and overseas too. It is speeded over bread and taken usually during lunch time. It is taken as rich source of minerals, dietary fiber, and vitamins. It can be added to cookies and chocolates for interesting flavor and aroma. Peanut can be used as massage oil to strengthen your bones and regulating brain functions too. It is highly safe and popular skin agent too. Peanuts in boiled form are very tasty and healthy. Add some salt to make them even tastier. It has plenty of health benefits and makes you healthy always. Peanuts when used as medicine are good for treating blood disorders and helps in reducing excessive menstruation flow among women.